You don’t see Mercury Cougar convertibles all that often, but that’s probably due to the fact that they didn’t build many. This 1969 Cougar belongs to reader Roger F and is one of just 4k convertibles built that year. It doesn’t run, but the 351 turns over, so you might be able to get it running without too much work. 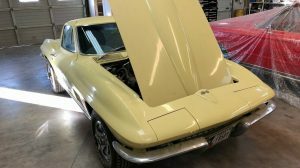 And, it’s going to need a cosmetic restoration, but you might be able to get it going and enjoy what warm weather is left as is. You can contact Roger with any questions or to make an offer via the form below! What Makes It Special? Only 4,000 Cougar Convertibles were built in 1969. This has the XR-7 interior. I have many extra parts and all the Ford repair manuals. I am 3rd owner and have a letter from the original owner. Body Condition: Body is in good shape. 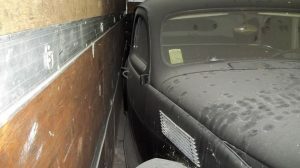 It has some rust in the lower door panels and a poorly repaired dent in the right rear quarter panel. It has a cheap repaint job that needs to be replaced. The undercarriage is in good condition. The back seat is in good condition, driver seat has a rip. Has new Cougar carpet and Cougar floor mats. Tires are in good condition with Cougar hubcaps. Have extra hood, fender and door panels. Mechanical Condition: It has original drivetrain – 351 Windsor 4 barrel and an automatic. It’s currently not running but turns over. The top has been replaced and works. It’s received a complete front end rebuild with polyurethane bushings. It has disc brakes on front and drum on rear, all have been repaired. New shocks installed. I have air conditioning compressor plus Freon to add. Also, have an XR-7 dash ready to be installed. 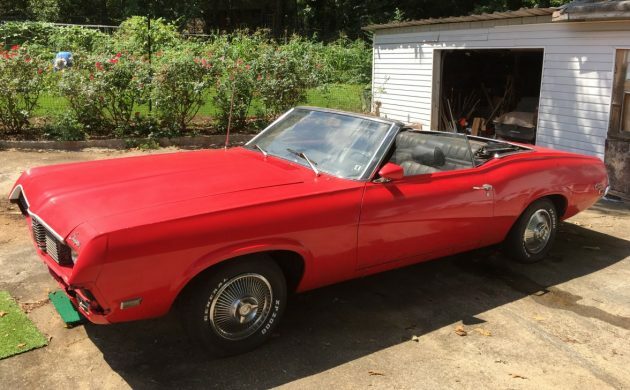 Sure, it’s going to need work, but it’s a bright red convertible and the price seems reasonable! If this seems like a project you’d like to take on, make sure to get in touch with Roger. 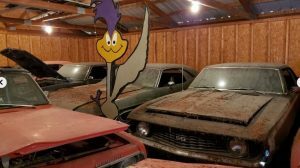 Do you have a rare classic sitting in your barn, garage or shed that needs to go? 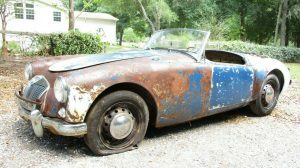 If so, please consider listing it here on Barn Finds! I didn’t know they made a Cougar convertible. I’ve never heard or seen one. Yes, no convertibles in 67 or 68, but 69-73 they were built. Very nice lines and they were available with all the go fast goodies (except the Boss 302) that the hardtops were. Mustang Deluxe! The ’70 was the prettiest but, they are all special. Nice solid project car. Reasonable price.